Two Clouds in the Sky: A blissful apartment. 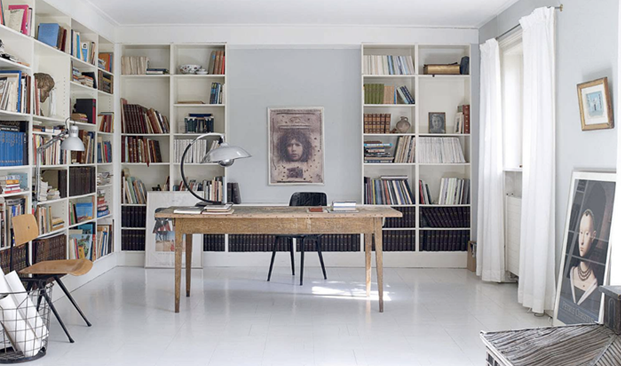 By S.
Continuing with our theme of beautiful Scandinavian homes in Elle Decoration, I thought it would be ideal to show you this breathtaking uncluttered apartment in Copenhagen. 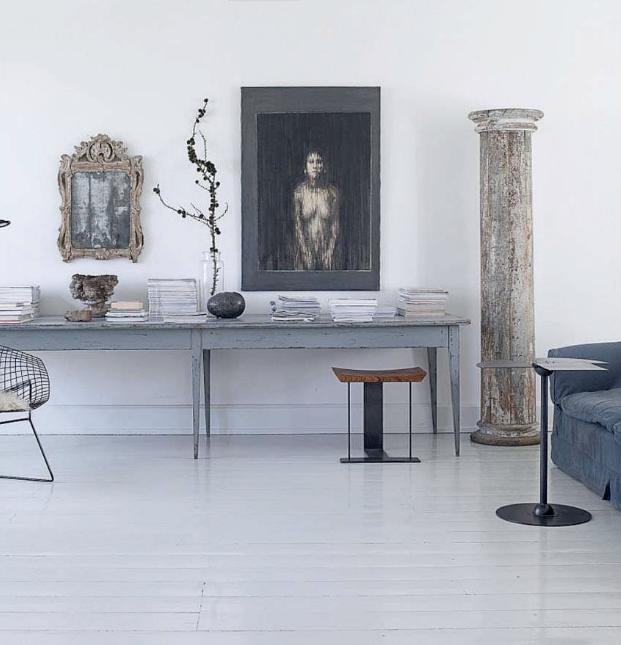 I love the soothing monochromatic palette with subtle touches of grey. 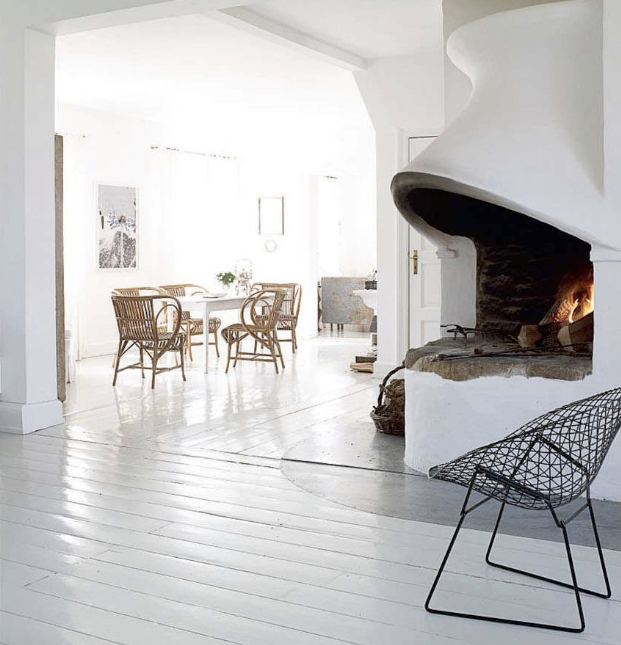 As in yesterday's Danish home (here) this apartment also has white wooden floors, white walls and white ceilings allowing the weak northern European winter light to bounce off and multiply. I also love the way the vintage objects take center stage against the neutral background. 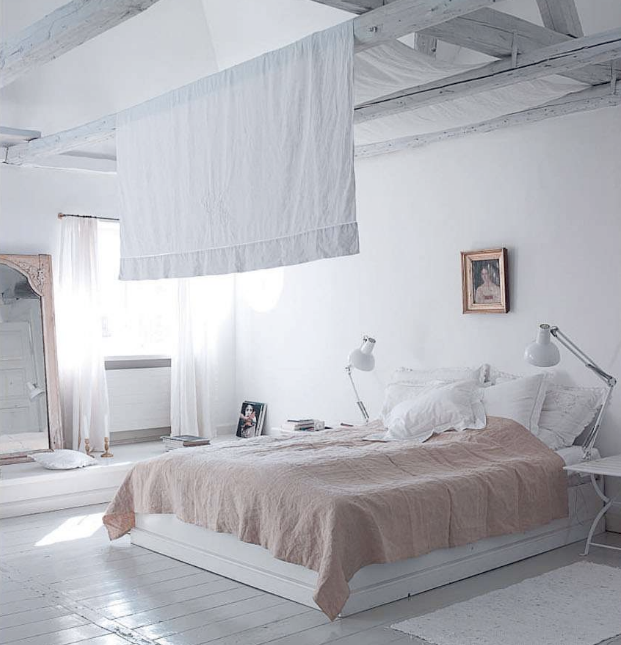 And last but not least, please check out the sheet hanging over the bed in the bedroom, what a great spontaneous canopy!